Stay the Course! Choose Love! There is a strong sense of being watched over, very much supported and guided to “keep on truckin’.” It feels as though many want to give up on what they had been pursuing or dreaming about pursuing. And, this is the main reason for our supporters and guides to take center stage now that it seems that they are needed most. 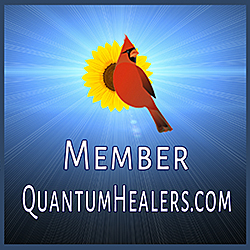 They feel our weariness, tiredness and exhaustion, which is why they are showing up strongly for us to support us in our dream realizations and to give us that extra encouragement that many seem to need or want. Many of us get so close to our desired destination, but get frustrated that we are not seeing the desired results fast enough. Inevitably this frustration and exhaustion discourages us and drives us into giving up. That is not the way to go about doing things is what our Guides are saying. “Keep going and stay the course” because you are so protected and supported now. 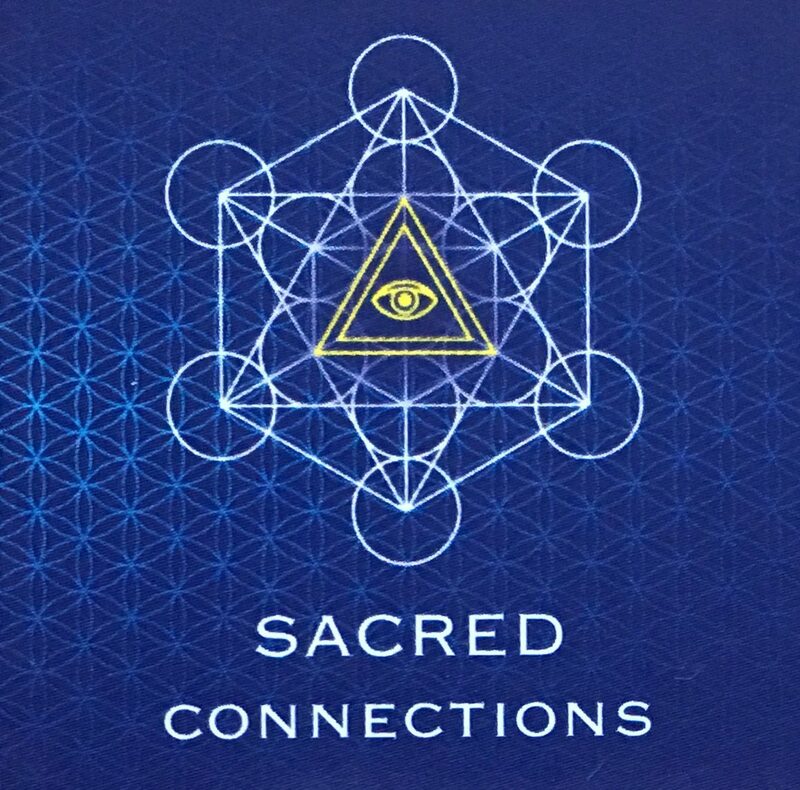 “It matters not when you receive our message since you are always right on time when you align with us.” As they mention that time is not important for when we receive any messages, it is always in divine timing when the messages are delivered because we are aligning with that information at that precise moment. 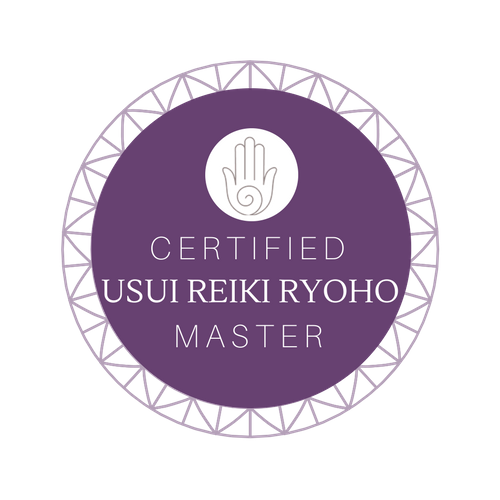 This means that whenever we read something or hear something it is due to our vibrational alignment to that message that is encoded within that which we read or hear. 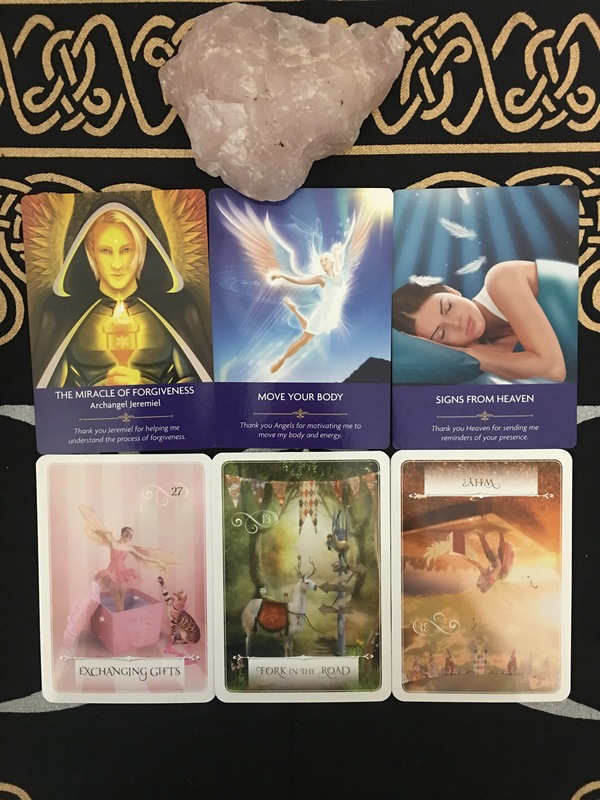 Being guided to pull some oracle cards from two different decks, I noticed that the decks that I was drawn to were Angel Prayers by Kyle Gray and Wisdom of the Oracle by Colette Baron-Reid. As you can see from the six cards (posted below), they definitely have some sound advice for us now. And, although Archangel Jeremiel was the only one that stepped forth in the cards, there are many others working with AA Jeremiel behind the scenes to help us move forward with our plans. The other major players helping us move forward are Archangels Michael, Gabriel and Zadkiel. AA Jeremiel is the one who holds the flame of forgiveness up to our heart in order for us to move forward fearlessly and powerfully. This angel’s name means ‘Mercy of God’ and it symbolizes the mercy that is within each one of us that we can use in order to find clarity and let go of past hurts through forgiveness. Many times holding on to old hurts and pain holds us back from progressing because it weighs heavily on us energetically. It is time to notice what is still being triggered so that whatever is left triggering us can be released. Attachments to the past and future limit our ability to move forward in a free and lighthearted way. Fear comes up for us so that we may be able to transcend and transmute it once and for all by our conscious choice of love. The opposite of love is not hate. The opposite of love is fear. Fear holds us back from following our heart. Fear entraps us and enslaves us to repeat patterns that do not work for our highest and most beneficial expression. Love on the other hand, allows us to expand and express our self in the most liberated manner. Love is the grand liberator and the most powerful force available to us. As such, it is through love that we may choose our path. By choosing love we can tap in to our heart’s desire and choose our highest path. If we choose our decisions based on fear, then we succumb to taking the easy way, which leads us straight to a dead end. Choices made from fear leave us devoid of the expanded and exalted feeling that we can acquire from our ability to create based on love. We can only create from the place of love. Fear limits this potential. As such, whenever triggers arise it is a wake-up call for us to notice how our automatic reactions are stemming from a deep-rooted fear. Triggers act as catalysts for our evolution. It is in the moments that we are triggered that we can expand our awareness. As such, people or situations that trigger us show up for us to help us in our journey. Triggers act as great opportunities for us to evolve. The Universe is always helping us to evolve. Ultimately, the choice is always ours and ours alone. We can be guided, encouraged and supported, but we may end up choosing to take the “easy path or the road most traveled.” Most times taking the road less traveled may provoke great fear because we do not know where that path will take us. However, it is in moving in the direction that our heart calls for that will deliver us to the greatest destination, a destination that we could not even fathom. Notice the signs that are showing up. Signs are available to every single one of us as a way for us to communicate with our Angels, Guides, and even our ‘Higher’ Self. The Universe is constantly communicating with us in the most unexpected ways. It is up to us to learn the language and join the dance. The time now is perfect for some deep Soul searching as to figuring out what your heart really wants and knows to be the ultimate truth for you. Remember you are loved, supported and always guided for your highest good.